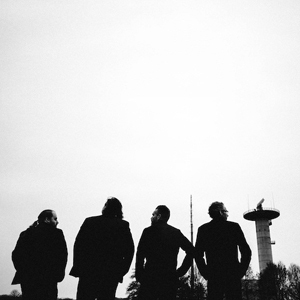 “A New World” from the upcoming album “Tales From Outer Space”. Do not miss our encounter with the third kind on YouTube! 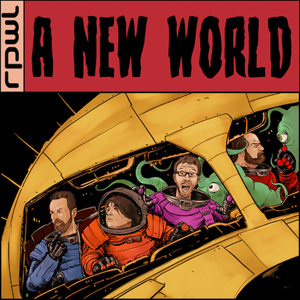 https://www.rpwl.net/wp-content/uploads/RPWL_ANewWorld_SingleCover-1.jpg 300 300 Kalle Wallner https://www.rpwl.net/wp-content/uploads/RPWL-Logo-1.png Kalle Wallner2019-01-11 12:08:142019-01-11 12:58:11New single "A New World"
We look forward to presenting you a sneak preview of our new studio album right before xmas. You can find the trailer for our new longplayer “Tales From Outer Space” here. The album will be released on March 22, 2019. In addition, we are starting an big European tour in April! Three years after the recording of our concert film “A NEW DAWN” a few lost collectors boxes appeared! The box was strictly limited to 500 pieces and contains all records (2Vinyl, Blu-Ray, DVD, 2CD) as well as the bilingual screenplay (DE / EN), posters, autograph cards, plectrum, and much more. These boxes are now available at the promotional price of -20% discount in our shop. As long as the short supply reaches. 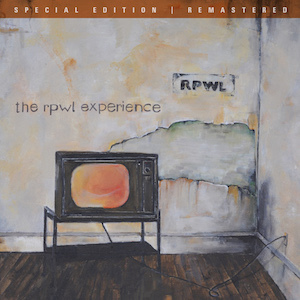 For the 10th anniversary of “THE RPWL EXPERIENCE”, this album will be available as a re-release for the first time under the label of Gentle Art Of Music. But not enough: the album is completely remastered and appears in incredible new sound. 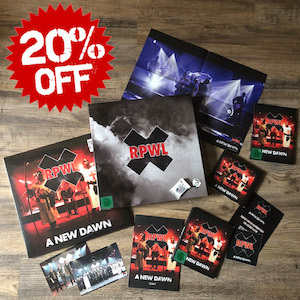 In addition there is the matching autograph card and among all preorders we are giving away two VIP copies of the sold-out special album “Nine” from the year 2009 and some other stuff from our store! 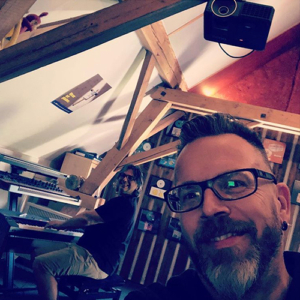 After releasing two „Pink Floyd Live Albums“ and our concert film „A New Dawn“ as well as the two solo albums of Kalle Wallner’s BLIND EGO, we have come together again in the studio to start with our seventh studio album. Its release is scheduled for early 2019, the European tour for April 2019. All other news and details will soon be available here and on the social networks. https://www.rpwl.net/wp-content/uploads/RPWL_News_juli2018-e1532697112739.jpg 300 300 Kalle Wallner https://www.rpwl.net/wp-content/uploads/RPWL-Logo-1.png Kalle Wallner2018-07-27 14:12:162018-10-25 16:09:38Re-start the fire!